How And When The Stardom Of AlDub Duo Start? Alden Richards is perhaps the most popular Kapuso star today. With left and right endorsement, TV guesting and performance in some mall show here and abroad, arguably showed that he is the hottest male Kapuso star today. Maine Mendoza aka Yaya Dub, who start from Dubsmashing also dub as Queen of Dubsmash, gain first her popularity in Youtube, after earning millions of viewers in just a day. About 3 months ago, when Yaya Dub is not part of Eat Bulaga’s All for Juan and Juan for All, Alden Richard and the Dabarkads are just an ordinary show with ordinary TV ratings. But with the incoming of Maine Mendoza aka Yaya Dub, everything was change. Alden and Yaya Dub, was team up to form the hottest split screen love team in the Philippines, “AlDub”. AlDub, gain popularity watching by millions of tele-viewers here and abroad awaits on how the duo will meet again? Social media like Facebook and Twitter, is the most power full instrument of the love team that helps them to gain more popularity and tweets. While Eat Bulaga’s KalyeSerye, gain more TV ratings beating other noon time show. AlDubs, holds the record for most tweets in just one day. Earning 25.6 M Tweets on the second date of the duo. AlDub duo, also appeared form several TV Commercial, they endorse their first commercial McDonalds, immediately followed by Talk N’Text and AlDub commercial and for the 2nd time a second version of McDonalds commercial. while Maine Mendoza, featured in a solo TV commercial in endorsing 555 Sardines. Co- star Wally Bayola, Jose Manalo and Paulo Ballesteros, also played an important role in the success of AlDub duo, portraying the role of Yaya Dub Lola’s. Today, the Aldub fever in KalyeSerye, still continue to give fun and enjoyment to the Filipino people, forgetting their problem from the Government and financial problems for a moment. 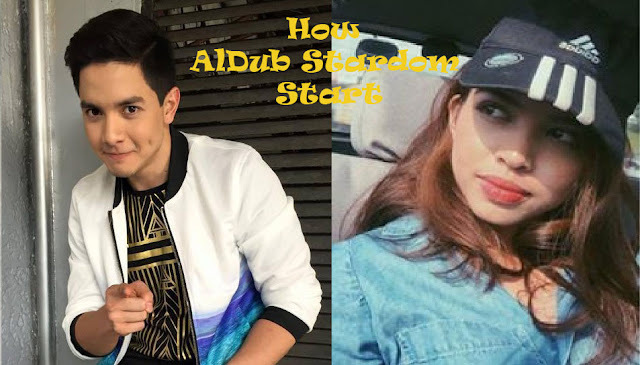 No Comment to " How And When The Stardom Of AlDub Duo Start? "